Earlier this year we said that the Casio WSD-F10 would have an ultra-ruggedized competitor in the Android Wear space called the Nixon Mission. Well, the time has come for the Nixon Mission watch to be available for pre-order. We haven't covered the Nixon Mission specs and features for some time, so we'll provide a refresher. 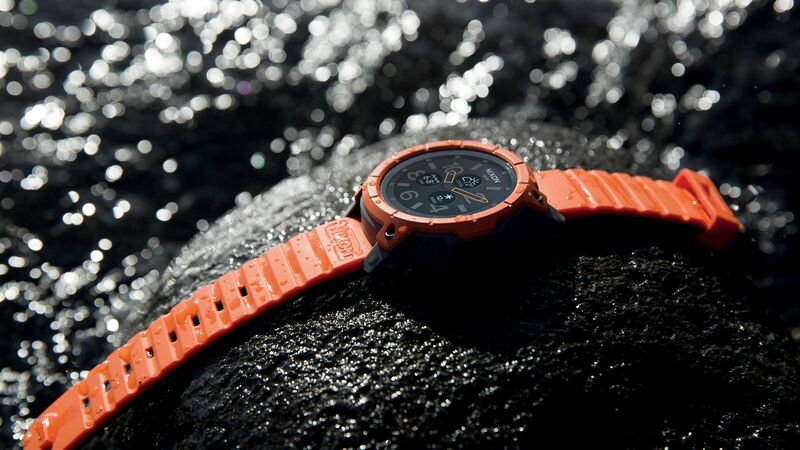 The Nixon Mission has 100-meter water resistance, which surpasses the Casio WSD-F10 and the Garmin Forerunner 735XT, for example. A well-known example of 50-meter water resistance would have to be the Apple Watch 2, Apple's newly-released next-generation smartwatch that is designed for swimmers and runners. The Nixon Mission also boasts an AMOLED display made of Corning Gorilla Glass for durability, Nixon's ultra-rugged wristbands, Qualcomm's new Snapdragon Wear 2100 processor that is solely designed for wrist wearables, stainless steel casing (316L), and weather and activity-tracking apps from Snocountry, Surfline, and Trace. Nixon didn't offer a price some 7 months ago when announcing the Mission, but a price tag of $400 has now been supplied for the upcoming smartwatch. $400 isn't bad when compared to the $500 Casio WSD-F10, though the Casio watch seems to offer its own unique [monochrome LCD/color LCD displays] that you won't find on the Nixon Mission. And, of course, there's the ultra-rugged Gear S3 Frontier that can last 2-4 days with moderate use. Finally, for those who want to customize their Nixon Mission a little more, $50 extra will allow you to customize your watch: choose casing, wristband and bezel colors, and add a small picture or text on the back for a more personalized effect. You can now pre-order the Nixon in Concrete, Orange/Gray/Black, and All Black, and the Nixon Mission smartwatch will be available on October 10th at Nixon's online website and in retail stores.